ORLANDO, Fla., May 7, 2018 /PRNewswire/ -- Tens of thousands of real estate professionals from the states of North Carolina, Louisiana, California, Montana and Colorado now have access to tech support services provided by Florida Realtors Tech Helpline for the first time. Agents and brokers from two state associations and three local associations can receive a wide range of expert technical assistance that covers both software and hardware issues, including smartphones, laptops, tablets, desktops, printers, email setup problems, viruses, lost files, wireless connections issues and more. Tech Helpline began seventeen years ago as a service for members of Florida Realtors. Known for its no-nonsense technical advice and warm, friendly, customer service, Tech Helpline rapidly grew by offering its service to other REALTOR Associations, Multiple Listing Services (MLSs) and real estate brokerage firms. Today, nearly half of the REALTORS in U.S. and Canada have access to Tech Helpline, a service created and owned by Florida Realtors. The real estate industry's number one technology support service, Tech Helpline has grown more than 10 percent this year. Today, nearly half of the REALTORS® in U.S. and Canada – more than 600,000 real estate professionals – have access to Tech Helpline, a service created and owned by Florida Realtors. Its U.S.-based staff of professionals have nearly 300 years of combined IT experience and offer technical support services in both English and Spanish. Tech Helpline is the real estate industry's number one technology support service. Dubbed "the Genius Bar" for real estate, Tech Helpline has grown more than 10 percent this year. Since January, it has contracted with two state Realtor Associations – the North Carolina REALTORS® (43,000 members) and the Louisiana REALTORS® (13,800 members). 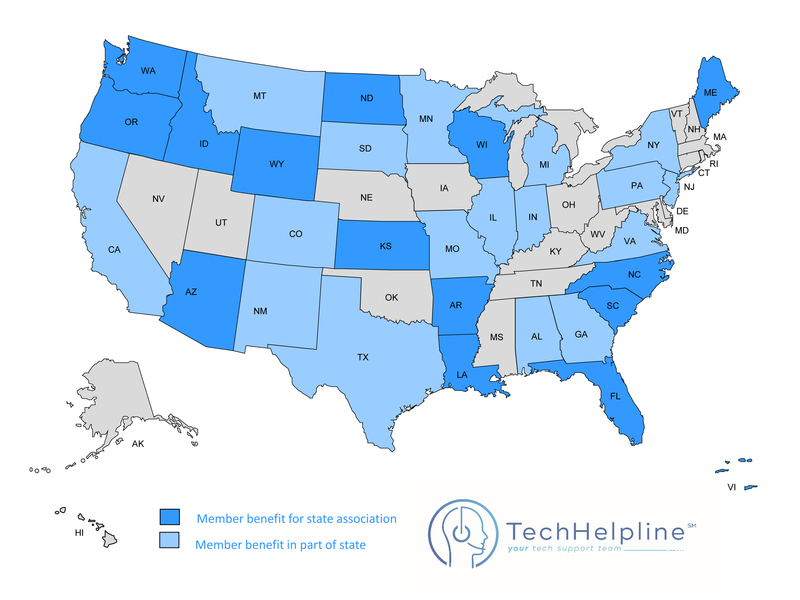 Tech Helpline has also contracted with three local associations including the San Francisco Association of REALTORS® (5,100 members); Gallatin Association of REALTORS® (1,250 members) based in Bozeman, Montana; and the Gunnison Country Association of REALTORS® (160 members) based in Gunnison, Colorado. Last June, Tech Helpline also began serving the South Bay Association of REALTORS® (4,700) based in Torrance, California. 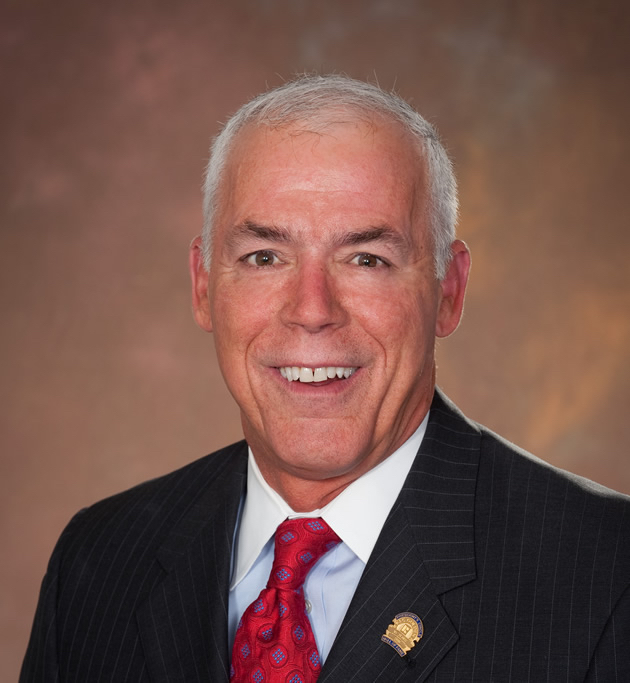 "The remarkable growth of Tech Helpline is because of its popularity as a top member benefit," says Bill Martin, Florida Realtors CEO. "Easy access to exceptional tech support services keep agents happy. Every MLS, Association, and brokerage that provides Tech Helpline to its members moves us closer to our goal of making Tech Helpline available to every Realtor in North America." Martin notes that Tech Helpline is often the highest rated member benefit offered by Realtor Associations, Multiple Listing Services (MLSs) and real estate brokerage firms. "Because Tech Helpline works with Realtors every day, they understand what an agent does and the deadline pressures they experience," said Martin. "They have earned a reputation for being the friendliest tech support around. That's why agents and brokers are not afraid to call and ask any of their technology questions." Martin points out that Tech Helpline's growth also is supported by the success of Florida Realtors Form Simplicity transaction software and its retention of highly satisfied clients. Tech Helpline provides technical support for Form Simplicity. "As we improve and refine both Form Simplicity and Tech Helpline, we expect our growth to continue," Martin said. Tech Helpline and Form Simplicity from Florida Realtors will be exhibiting – Booth 818 - next week at the 2018 REALTOR® Legislative Meetings & Trade Expo in Washington, D.C., May 14-19, 2018. More information about Tech Helpline is available online at www.techhelpline.com. Tech Helpline began seventeen years ago as a service for members of Florida Realtors. Known for its no-nonsense technical advice and warm, friendly, customer service, Tech Helpline rapidly grew by offering its service to other REALTOR® Associations, Multiple Listing Services (MLSs) and real estate brokerage firms. Tech Helpline is the real estate industry's #1 tech support service, available to nearly half the Realtors in North America – more than 600,000 in the U.S. and Canada. Tech Helpline's office and staff of professional tech analysts, with almost 300 years of combined IT experience, are located in Orlando, Florida, and are available to provide technical support by phone, chat or email. More information is available online at www.techhelpline.com. Florida Realtors serves as the voice for real estate in Florida. It provides programs, services, continuing education, research and legislative representation to its 180,000 members in 54 boards/associations. Note: REALTOR® is a federally registered collective membership mark which identifies a real estate professional who is a member of the NATIONAL ASSOCIATION OF REALTORS® and subscribes to its strict Code of Ethics. Today, nearly half of the REALTORS® in U.S. and Canada have access to Tech Helpline, a service created and owned by Florida Realtors. The real estate industry's number one technology support service, Tech Helpline has grown more than 10 percent this year. Tech Helpline began seventeen years ago as a service for members of Florida Realtors. Known for its no-nonsense technical advice and warm, friendly, customer service, Tech Helpline rapidly grew by offering its service to other REALTOR® Associations, Multiple Listing Services (MLSs) and real estate brokerage firms. Tech Helpline, a service created and owned by Florida Realtors, is available to nearly half the Realtors in North America - more than 600,000 in the U.S. and Canada.